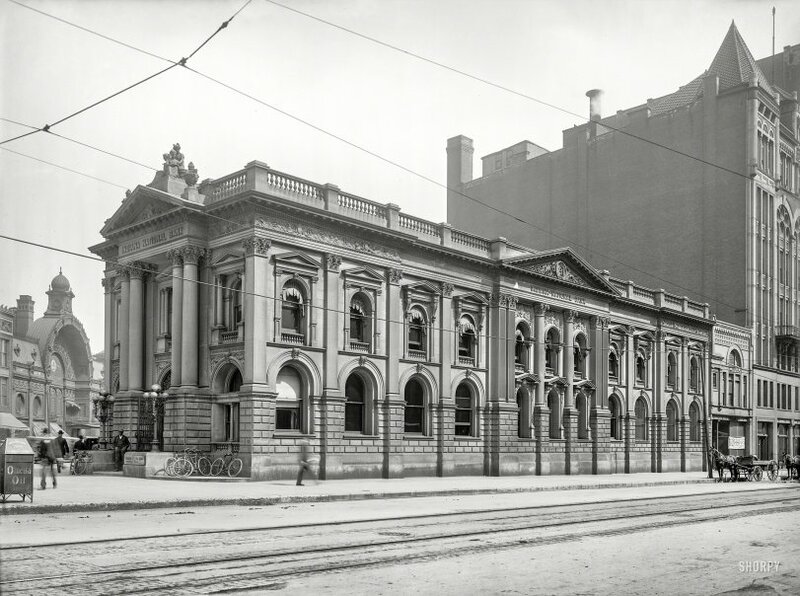 "Indiana National Bank, Virginia Avenue." Continuing our tour of 1904 Indianapolis, sponsored by Omega Oil. Trial Bottle only 10 cents! 8x10 inch dry plate glass negative, Detroit Photographic Company. View full size. Submitted by indydad on Mon, 07/16/2018 - 5:18pm. I think this is a building at the corner of Washington and Virginia street. It was replaced with Merchant's bank building nicknamed the "zipper bank", and remodeled for the 3rd time, now houses a Brazilian steakhouse.